The BBC today runs ten national domestic radio stations, five of which are only available in a digital format: via DAB (Digital Audio Broadcasting), the Internet and on digital satellite. There are 10 national BBC radio channels. Visit the BBC Radio Site for more information BBC radio services. BBC Radio 1 is a national and international radio station operated by the BBC, specialising in current popular music throughout the day, with a slight bias to Rock & Indie music. Radio 1 provides alternative genres after 19:00 including electronic dance, Hip Hop, rock or interviews. It is aimed primarily at the 15-29 age group. Radio 1 is broadcast on DAB, Freeview, Freesat, Virgin Media, Sky Digital and the Internet as well as FM. In Europe, Radio 1, like most other BBC radio stations, is broadcast on the Astra 2A satellite. The station can be found on transponder 13, 11.954 horizontal polarization, on Astra 2A’s South Beam, covering most of Europe. In July 2005, Sirius Satellite Radio began simulcasting Radio 1 across the United States as channel 11 on its own service and channel 6011 on Dish Network satellite TV. Sirius Canada began simulcasting Radio 1 when they launched on 1 December 2005 (also on channel 11). The Sirius simulcasts are time shifted five hours to allow U.S. and Canadian listeners in the Eastern Time Zone to hear Radio 1 at the same time of day as UK listeners. On November 12, 2008, Radio 1 made it’s debut on XM Satellite Radio in both the US and Canada on channel 29. 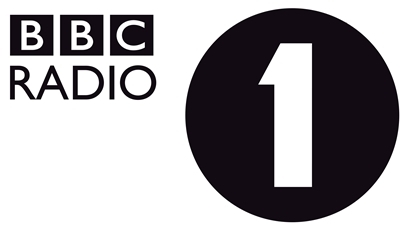 Radio 1 reaches approximately 20.6 million listeners in North America on satellite. 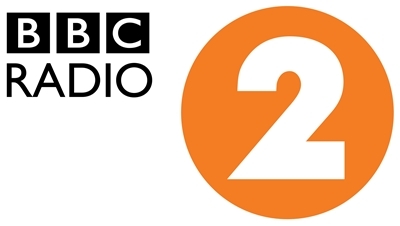 BBC Radio 2, the most listened to station in the UK, 89-91 FM featuring articles, show pages, information, biographies, competitions and games. Radio2 combines popular music and culture with a diverse range of specialist music, features, documentaries, light entertainment and readings. Learn more about your favourite shows and presenters. BBC Radio 2 broadcasts throughout the UK on FM between 88.1 and 90.2MHz from studios in Western House, adjacent to Broadcasting House in central London. Programmes are relayed on digital radio via DAB, Sky Digital, Cable TV, IPTV, Freeview, Freesat and the Internet. The station’s programming is broadcast on a network of FM transmitters of up to 250kW, the strongest FM signals in the EU. Radio 2’s listeners are mainly aged 25 and above, although in recent years it has attracted more younger listeners. Its daytime playlist features music from the 1960s to various current chart hits, album and indie music. The station’s appeal is broad and deep, with accessible daytime programmes and specialist programmes of particular types or eras of music. 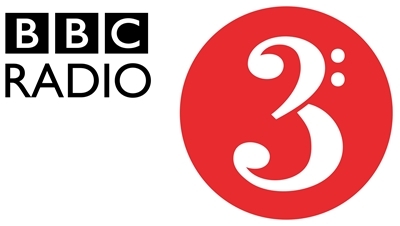 BBC Radio 3 focuses on presenting live and specially recorded music of the highest quality from the UK and beyond, including a variety of contributions from the BBC’s own performing groups. Radio 3 plays a role in shaping the national cultural agenda through its promotion of musical performance; its commissioning of music, and through its drama and ideas programmes. What Radio 3 does: Find out about the range of programmes on Radio 3 including classical, drama, concerts, jazz, speech, world music, live music, new music and the Proms. Radio 3 has led the way in many fields. A number of broadcasts are experimental; for instance one play in the late seventies consisted mainly of sound effects, recorded binaurally, to be listened to wearing headphones. Radio 3 was the first channel to broadcast in stereo and in quadraphonic (matrix HJ), a format which enjoyed only a brief success. To improve the quality of outside broadcasts over telephone lines the BBC designed a NICAM style digitisation technique called pulse code modulation running at a sample rate of 14,000 per second per channel. It later designed digital recording machines (transportable) sampling at the same rate. BBC Radio 3 is available on FM, DAB, Freeview, Virgin Media, Online, Sky, and Freesat. BBC Radio 4 is a domestic UK radio station that broadcasts a wide variety of spoken-word programmes, including news, drama, comedy, science and history. It replaced the BBC Home Service in 1967. 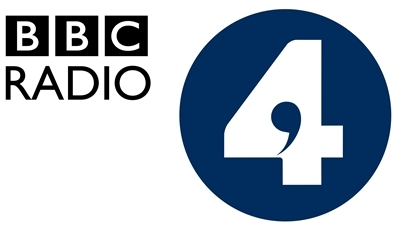 Radio 4 is the second most popular British domestic radio station, after Radio 2, and was named “UK Radio Station of the Year” at the 2003, 2004 and 2008 Sony Radio Academy Awards. Costing £71.4 million (2005/6), it is the BBC’s most expensive national radio network and is considered by many to be the corporation’s flagship. There is currently no comparable UK commercial network (nor any internationally). Music and sport are the only fields that largely fall outside the station’s remit. There are occasional concerts, and ball-by-ball commentaries of most test matches played by England cricket are broadcast on long wave for over 70 days a year which means listeners rely on FM broadcasts or increasingly DAB for mainstream Radio 4 broadcasts for a fifth of the year, though the number of those relying solely on long wave is a small minority. The cricket broadcasts even take precedence over on the hour news bulletins, though not the Shipping Forecast. Because the long-wave service can be received clearly at sea around the coasts of Britain and Ireland, Radio 4 carries |regular weather forecasts for shipping and gale warnings. Radio 4 is available on LW, FM, DAB, Freeview and on digital satellite from Sky and Freesat. BBC Radio 5 Live is the BBC’s radio service providing live BBC News, phone-ins, and sports commentaries. It is the principal radio station covering sport in the UK, broadcasting virtually all major sports events staged in the UK or involving British competitors. It is transmitted via analogue radio on 693 and 909 kHz AM in the medium wave band, frequencies that belonged to BBC Radio 2, and on digital radio via DAB, digital satellite (Freesat and Sky), IPTV and Freeview. It is also streamed online, however due to rights restrictions, coverage of some events, especially “live” sporting events, is not available online. Some content is available online but restricted to UK users. The station broadcasts from the News Centre at BBC Television Centre with a small office in Manchester and a team of its own reporters based around the UK. BBC Radio 5 Live Sports Extra is an additional digital radio service provided by the BBC via DAB Digital Radio and the digital satellite, Freeview, IPTV and digital cable television services in the UK and Republic of Ireland. It is not available via normal analogue radio. It is also streamed online; however due to rights restrictions coverage of some events is not available online. Each year during Wimbledon Sports Extra provides extra court commentary for the first week of the tournament. In addition, the station provides live coverage of the non-final rounds of the other Grand Slam tournaments. BBC 1Xtra is a digital UK radio station from the BBC specialising in new black music, sometimes referred to as urban music. Launched at 18.00 on 16 August 2002, it had been code named Network X during the consultation period and is the sister station to BBC Radio 1. The programme is broadcast from a dedicated building shared with Radio 1, Yalding House in central London, part of the BBC’s sprawling Broadcasting House complex of radio studios and offices. Typical music includes largely British and North American hip hop, grime, bassline, garage, dubstep, drum and bass, bashment, soca, reggae, gospel music, bhangra and R&B. It is available on digital radio (DAB), digital satellite television, Freeview, and the Internet. It has its own news team: 1Xtra News. BBC 6 Music plays the best in new music and highlights from the BBC’s music archive. Listen in live online, check out the latest music news, shows, events and fun and games. It is available on DAB radio, the Internet, Freeview and in northern Europe through the Astra 2A satellite. The station plays “alternative” genres of music, including Indie, Classic rock, Punk, Jazz, Funk, Hip hop and Classic Dance. It is an alternative to the mainstream, chart orientated Radio 1 and Radio 2. BBC 6 Music is the sister station of Radio 2. There is a lot of cooperation with the audience, using the World Wide Web, text messaging and emails . Listeners can in vivo decide which songs will be played. Listeners can also use the website to listen again to a show, find out more about the playlists and presenters and hear breaking music news. Extra BBC Radio 4 Extra, is a digital radio station broadcasting comedy, drama, and children’s programming nationally 24 hours a day. It is the principal broadcasting outlet for the BBC’s archive of spoken-word entertainment. The station was launched as BBC7 in December 2002 to enable the contents of the BBC Sound Archive to be broadcast. Since rebranding it also features extended versions of established programmes from Radio 4. The schedule spans the decades, from The Goon Show (1950s) and Round the Horne (1960s), through Radio 2 favourites like The News Huddlines, Castle’s On The Air and Listen to Les to recent Radio 4 shows such as Little Britain and Dead Ringers. There is also speculative fiction of various kinds, science fiction, fantasy or horror seven days a week in a regular slot called The 7th Dimension which is broadcast on twice a day, at 18:00 and midnight. This slot regularly features a series of original Doctor Who audio dramas, starring Paul McGann as the Eighth Doctor. The station’s remit requires it to carry children’s programming which, since the station’s launch, has come in various forms including The Little Toe Radio Show, aimed at younger children and consisting of short serials, stories and rhymes. The station can be heard worldwide on the Internet, in some areas of Europe on satellite (UK Spotbeam), Freesat, Sky, on DAB digital radio, cable television, IPTV and Freeview digital terrestrial television. BBC Asian Network is a BBC national radio station orientated towards British Asian life, culture and music in the UK and other topics from a British Asian perspective targeting British Asians aged under 35, while also aspiring towards a broader appeal among all interested in British Asian life whether Asian or not, regardless of age. The BBC Asian Network features a generally regular schedule of programming in English and South Asian Languages. Many Programmes are named after the usual presenter, programmes are presented in English except where noted otherwise. Based in St Nicholas Place, Leicester, with programmes also coming from Mailbox studios at BBC Birmingham and BBC Television Centre, London; it broadcasts nationally on DAB and digital TV via satellite, cable, IPTV and Freeview; locally on AM in parts of the English Midlands 24 hours a day and sometimes in some parts of Yorkshire, Lancashire, South East England and Hertfordshire. The BBC World Service is one of the most widely recognised international broadcasters, transmitting in 33 languages to many parts of the world through multiple technologies. The English language service broadcasts 24 hours a day. 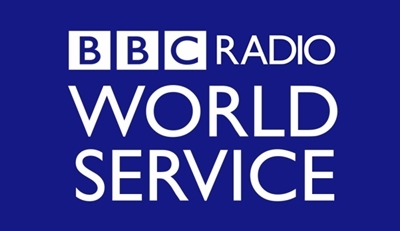 In May 2007 the BBC reported that the World Service’s average weekly audience had reached 183 million people, beating the previous record of 163 million listeners set the previous year. 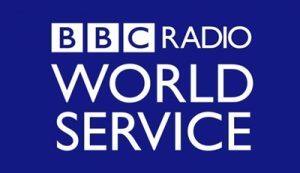 The World Service is funded by grant-in-aid through the Foreign and Commonwealth Office by the British Government, unlike the BBC’s domestic radio and television services, which are primarily funded by a compulsory licence fee levied on every household in the United Kingdom using a television. BBC Radio Scotland is BBC Scotland’s national English language radio network. It broadcasts a wide variety of programming including news, sport, light entertainment, music, The arts, comedy, drama, history and lifestyle. It replaced the Scottish BBC Radio 4 opt-out service of the same name from 1978. BBC Radio Scotland broadcasts 24 hours on Medium-wave, broadcasting archive programming under the name, the zones through the night. From 00.30 to 0600, FM broadcasts BBC Radio Five Live. Orkney and Shetland each have a half hour daily news programme, Around Orkney (0730-0800) and Good Evening Shetland (1730-1800). During the winter months, this is supplemented for both areas by an hour long programme, broadcast Monday-Friday, between 1805-1900. Local bulletins are broadcast from Selkirk, Dumfries, Aberdeen and Inverness throughout the day. BBC Radio Scotland is also available on Freeview in Scotland on digital satellite and via a live Internet stream. BBC Radio nan Gàidheal is the BBC’s Scottish Gaelic language station. It is broadcast on digital satellite and DAB Digital Radio. BBC Radio nan Gàidheal also broadcasts on BBC Alba when not broadcasting television programmes. Scottish Gaelic-language programming has been transmitted in Scotland since 1923, and the BBC’s Gaelic-language department was established in 1935. Radio Highland produced a range of Gaelic programming – Radio na Gaidhealtachd – and in 1979 the Scottish Gaelic service Radio nan Eilean was established in Stornoway. In 1985 these two separate services united to form Radio nan Gàidheal. Radio nan Gàidheal joins BBC Radio Scotland’s medium-wave feed when they close transmission, Radio nan Gàidheal’s frequencies are also used for an extra live football match for Sportsound each Saturday afternoon. BBC Radio Wales, is the national broadcaster for Wales in the English language. Since the early beginnings in November 1978, when the output lasted for just a few hours a day, and Radio 4 sustained Wales between home grown programmes. Now Radio Wales broadcasts nineteen hours a day of programmes made all over Wales, specifically for the audience living in Wales and around the world that listen in Online. Current programmes include Good Morning Wales, All Things Considered, Jamie and Louise with Jamie Owen and Louise Elliot, “Richard Evans Phone-in”, Roy Noble’s afternoon show, Good Evening Wales, The Evening Show (a show covering current rock/pop music and entertainment), Adam Walton’s new music show (covering new Welsh music on Sunday nights), ‘Celtic Heartbeat’, presented by Frank Hennessy, and Chris Needs’ Friendly Garden which goes out every weeknight evening from 10pm. BBC Radio Wales is broadcast on DAB Digital Radio, on Freeview across Wales, and across the UK on satellite (UK Spotbeam). BBC Radio Cymru is BBC Cymru Wales’s Welsh-language radio station, broadcasting throughout Wales from studios in Cardiff, Bangor, Aberystwyth and Carmarthen on FM since 1977. At the time of its launch it was one of the few FM-only radio services in the UK. The station currently broadcasts for 18.5 hours a day (5.30–24.00) and is also available on DAB digital radio and Freeview within Wales and via satellite. Radio Cymru has also been streaming its output on the Internet since January 2005. Between midnight and 5.30 the Radio Cymru frequencies carry the output of BBC Radio 5 Live. The station began broadcasting on 3 January 1977 with a news bulletin read by Gwyn Llewelyn, followed by its first programme – the breakfast show Helo Bobol!, presented by Hywel Gwynfryn. Radio Cymru was the first dedicated Welsh-language broadcasting outlet, allowing much more airtime for Welsh-language programmes than had previously been available on the old Radio 4 Wales (or the Welsh Home Service prior to 1967). Over the years it has done much to promote the language, with its sports commentators coining new terms which later became accepted by Welsh linguists. Radio Cymru is similar in format to many “general” radio stations, with news programmes at breakfast (Post Cyntaf), lunchtime (Taro’r Post – a debate-driven programme), and drivetime (Post Prynhawn) alongside DJs who chat to guests and run call-in competitions. Radio Cymru also produces current affairs, drama, features, and youth and sports programming. One of its more unusual programmes is Y Talwrn, a poetry competition in which teams must come up with poetry in specific styles on specific topics. BBC Radio Ulster is a BBC Radio station based in Belfast and is part of BBC Northern Ireland. It is the most listened to radio station in Northern Ireland and has a range of programmes including news, talk, features, music and sport. 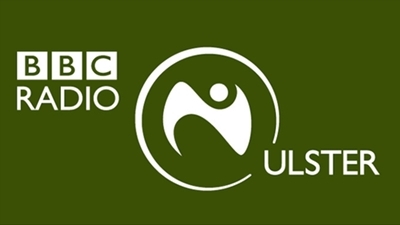 BBC Radio Ulster was founded in January 1975 replacing what had been an opt-out of BBC Radio 4. 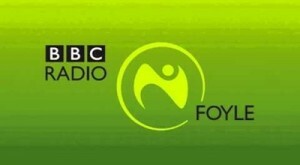 An opt-out of the station exists in the north-west of the region called BBC Radio Foyle. This carries alternate programming and news for much of the time between 7:30am and 5:00pm weekdays and a few hours at the weekend. The station is also broadcast on DAB Digital Radio, Freeview in Northern Ireland, digital satellite and on the internet. BBC Radio Foyle (BBC Raidió Feabhail) is a BBC Northern Ireland local radio station, serving the North West of Northern Ireland. It is named after the River Foyle which flows through the city where the station is based. The station broadcasts from the Northland Road studios in Derry’s Cityside on 93.1 FM and 792 MW. It is an opt out from BBC Radio’s main Northern Ireland service, BBC Radio Ulster. BBC Radio Foyle’s weekday schedule begins at 7:30am and continues until 5:00pm.